Brevard County Zoo, Kennedy Space Center, Melbourne Beaches, Andretti Thrill Park, Duran Golf Course, Wildlife/Swamp land tours, and the list goes on! Hotel was clean and had more amenities than we needed for one night, but great for folks who would be staying for an extended period. 26-Mar-2019 Verified Review, stayed from Sun Mar 24 to Mon Mar 25 2019 at a $99.07 average nightly rate. All Rooms have a fully equipped kitchen complete with stovetop, dishwasher and a full sized refrigerator with ice maker, FREE on site Guest Laundry Facility, Spacious work area in our Business Center with print, fax and copy capabilit., On site Fitness Facility, Free Hi Speed Internet/WiFi, 39" LCD/DVD player, FREE DVD/CD lending library, Outdoor Gazebo with two gas grills for our guests to use, Candlewood Cupboard where you can purchase meals, snacks and sundry items at a great price, Free enrollment in our IHG Rewards Club where you can earn FREE stays, travel miles or merchandise. Plus we are pet friendly!! 24 Hours before scheduled check in. Pets are allowed with a $25/night fee $150/max for entire stay. Melbourne International Airport (10 mins away) and Orlando International Airport (45 mins away).Shuttles can be arranged through the front desk with the local shuttle service for any time of day. Please let us know how we can help you get around! Local Shuttle Info: Shuttle Services are available for an extra charge. 24 hours a day any day! The Candlewood Suites highlights above are subject to change without notice. 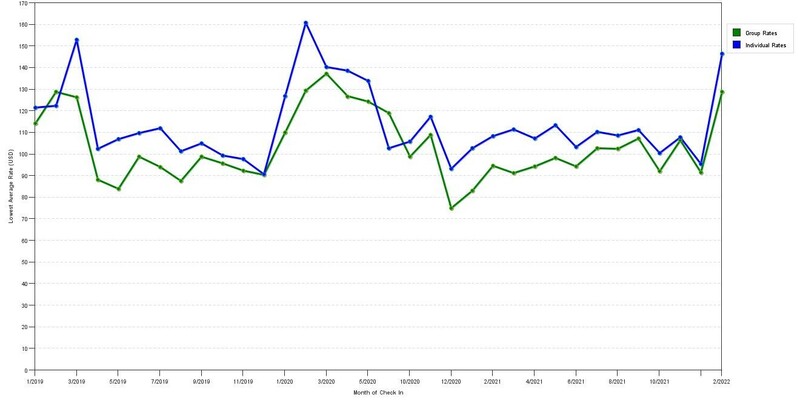 The chart above shows seasonality of prices for both group/meeting rates and the best individual traveler rates our rate checker could find at the time the group/meeting offer was placed. The most competitive group rate shown is 29.9% in January 2018 and the highest average individual rate is $160 in the month of April 2018. This chart will show past seasonality and also project future months. If you are flexible with dates, you may want to consider staying at Candlewood Suites Melbourne / Viera in a month when rates are lower. 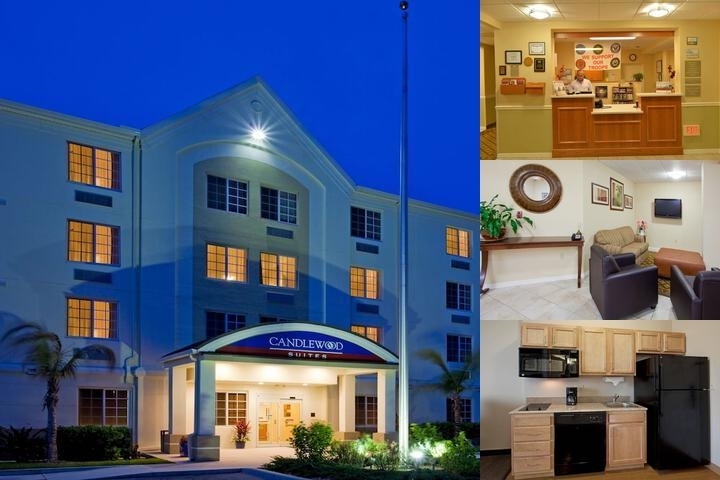 Below are the meeting, banquet, conference and event spaces at Candlewood Suites Melbourne / Viera. Feel free to use the Candlewood Suites Melbourne / Viera meeting space capacities chart below to help in your event planning. Hotel Planner specializes in Melbourne event planning for sleeping rooms and meeting space for corporate events, weddings, parties, conventions, negotiated rates and trade shows.